In September of 1986 Miss Schipani opened the Academy in the Hampstead Town Gym, just two days a week with only 50 students. The Academy has now grown to accommodate students from Massachusetts, New Hampshire and Maine. Donna is a certified and fully accredited member of the Boston Dance Teachers Club, Dance Masters of America and the National Dance Council of America. A dance educator for over 40 years, Ms. Schipani has extensive training in Ballet, Tap, Jazz, Pointe, and Lyrical dance. She has studied with such notable instructors as Eleanor Rubino, Mandy Moore, Travis Wall, Twitch, Ray Leeper, Allison Holker to name a few. Miss Schipani exposes her students to a variety of workshops and conventions to expand and broaden their knowledge in dance and to prepare them for what ever avenue in the Performing Arts they wish to pursue. Donna prepares her students for Professional Auditions, College Auditions, Dance Teams and Community Theatre Auditions. 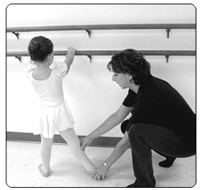 Donna also offers Teacher Assistant Training opportunities for those wanting a career as a Dance Instructor. Her students have performed at Walt Disney World in Orlando Florida on 5 separate occasions and will be returning in 2020. We have performed at Canobie Lake Park in Salem, NH, the Monarchs Hockey Games as well as several community events. Here at the Academy we strive to have well educated, certified and very dedicated staff who will instill their passion of dance with your child. We offer an atmosphere where every student will feel safe and comfortable. It is our goal to have your child Be The Best They Can Be. Students of the Academy have volunteered their services for innumerable community and school programs for the Arts including: Atkinson Library Enrichment Day, St. Catherine’s Church Musical Theatre Camp in Nashua, Student Enrichment Day at Danville Elementary School, Timberlane Regional High School Career Day, St. Anne’s Summer Craft Festival-Hampstead, Sandown Old Home Days and the Miss Hampstead Pageant. Miss Schipani is the past Secretary/Treasurer and Membership Chairperson to Dance Masters of America and held the position of stage manager to the Miss Massachusetts Program—a preliminary to Miss America— for 11 years. Donna established both the HDA Performing Arts Co. as well as the Northeast Performing Arts Co. Both companies represent the Academy and allows dance students the opportunity to perform as part of their dance training. The Hampstead Dance Academy was awarded the Top Studio Award in both the Dance USA and Sophisticated Production Regional events and Miss Donna, herself, was awarded the Class Act [Teachers] Teacher Award for her dedication to her students. Andrea began her dance career with Miss Donna Schipani in 1988 at the age of three. During her time at Hampstead Dance Academy, she competed for 12 years receiving several dance awards and medals. While at HDA, Andrea studied with Miss Donna, Tammy Aspell and took class with Sandy Duncan and Ray Leeper among others. In the fall of 2003, she received Capezio’s Rising Star Award for her accomplishments in dance. After graduating from high school, she attended the University of New Hampshire for two years, where she studied with Gay Nardone and Larry Robertson. While at UNH, Andrea was a member of the UNH Dance Company both years, and studied aerial dance for one year. She choreographed and danced in many student showcases as well. In 2005, Andrea transferred to Dean College in Franklin, Massachusetts for their outstanding dance program. She was a member of the prestigious Dean Dance Company and also received a performing arts scholarship for both years. Andrea performed in the chorus of the musical Anything Goes, Cabaret, Dance Team Show, and the Christmas Variety Show. At Dean, Andrea studied tap, jazz, ballet, and modern with: Nailah Randall Bellinger, Kristin Horrigan, Joan Palladino, Brian Steele, Jill Silverman, Maryanne Kodzis, Bob Thomas, Jean Wenzel, and Lisa Pari. In May of 2007, Andrea graduated from Dean College with high honors and bachelors of dance and minor in psychology. We are so excited to have Andrea with us. Natalie is currently a student at The Hart School of Music, Theatre and Dance at the University of Hartford Conn. where she is pursuing her BFA in Musical Theatre. In 2015 Natalie was crowned Teen Miss Dance Ovations. Natalie is spending her summer at PDP, a professional theatre company located in Portsmouth, NH. She is currently playing Maggie in Chorus Line, and playing Marcy in The 25th Annual Putnam County spelling Bee. Isabel Povey, has taken the many valuable skills she’s learned in the studio to many other experiences. Currently holding the title of Miss Seacoast’s Outstanding Teen, and formerly Miss Exeter’s Outstanding Teen and Miss Kingston’s Outstanding Teen, Isabel has been making her mark in the Miss America Scholarship Organization. This year she placed in the top 12, earned the scholastic achievement award, community service award, and overall interview award at the Miss New Hampshire’s Outstanding Teen competition. At age 14 she is a published author and was recently nationally recognized for her dedication to community service. She traveled to Washington, DC for the Prudential Spirit Of Community Awards as the New Hampshire Honoree. She has donated over 2,000 pounds of food to the New Hampshire Food Bank alone, and has also worked tirelessly with countless other organizations throughout the country and even overseas. Isabel is grateful for what the staff at Hampstead Dance Academy has taught her- for she believes her drive to help and care for others was sparked by the values instilled in the dance room such as dedication to reaching goals, teamwork, and simply kindness and poise. A graduate of the University of NH with a B.A. in Musical Theater, Christine toured with The Center of the Arts in Quakertown, PA and was in productions of Grease, Footloose and Chicago. Christine was also a cast member with the Seacoast Repertory Theater for several years. A graduate of Northwestern University in Illinois Jay studied voice, drama, dance, and musical theater and ranked as top tenor in the state of NH for the two consecutive years. Jay was in the national touring company of Broadway’s Wicked! He has dance captained and performed professionally at numerous reputable theaters throughout the country. Jay starred in the Chicago production of A Chorus Line under the direction of Broadway’s original cast member, Mitzi Hamilton. A major motion picture and TV star, Keri Lynn Pratt has appeared in numerous well-known productions, including The Help, Drive Me Crazy, Joan of Arcadia, Law and Order , Cruel Intentions 2, Fat Albert, House M.D., Bones, C.S.I., Smallville, That 70’s Show and many other well known titles. Keri Lynn was Miss Teen New Hampshire as well as Miss NH National Teenager. Copyright © 2018 The Hampstead Dance Academy Inc.